Content marketing is a proven way to drive traffic, create brand awareness, earn customer loyalty, and gain a competitive edge. Most eCommerce businesses now understand the importance of content for bringing in more customers and sales - simply having an online store on its own won't deliver the desired results. To maximize ROI, eCommerce businesses need to have a unique web presence, and this is where the effectiveness of content comes into picture. An effective content marketing strategy will help you to attract your target audience, engage more visitors and improve awareness and reach. It'll generate also help quality leads, increase your conversion rates and better position your business as an authority. As per Demand Metric, content marketing costs 62% less than traditional marketing and generates 3x as many leads. In this post, we'll go through some of the best eCommerce content marketing ideas, approaches that'll assist you in taking your online selling efforts to the next level. 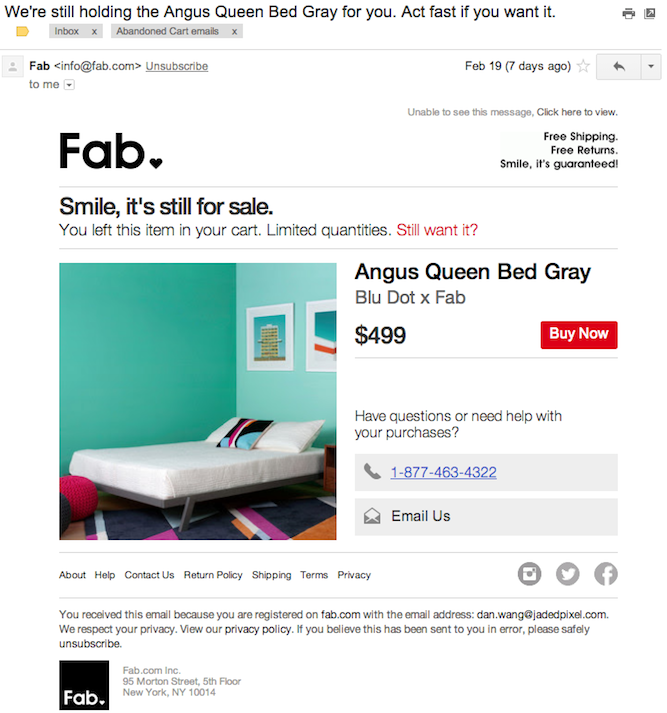 Email is a great way to start with your eCommerce content process. 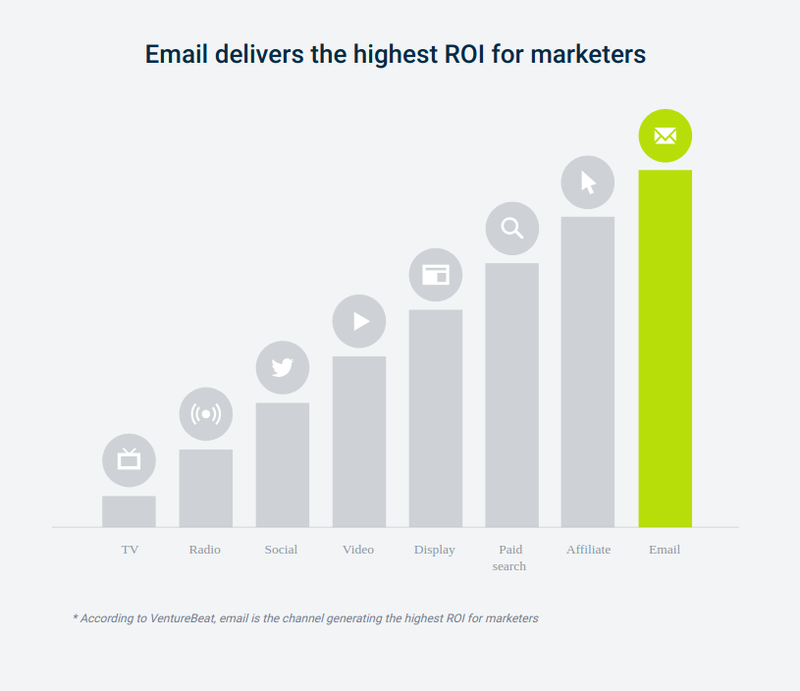 As noted by Campaign Monitor, for every $1 spent on email, it generates, on average, $38 in ROI, when done right. There's a range of ways you can utilize emails in your eCommerce process - you can send personalized emails to your customers, including welcome emails and promotional events. Seasonal and holiday-themed e-mails can help boost sales, while you can also notify buyers when an item they've previously added to their cart is about to go out of stock or is put on sale. In terms of content marketing, you can also use e-mail to better inform and entice prospective buyers. Personalization is key - tailoring your outreach to the right users based on their interests - but once you have customer email addresses, it's a great channel to communicate directly with your target audience. Tip: Enure your subject lines and preview text are attractive to increase your open rates. Magazines are still in vogue. High-quality editorial and enticing visuals attract readers, and regular, subscription-based content is useful in building an ongoing relationship with your target audience to make them your followers. For eCommerce brands, magazines can be the physical representation of their business, enabling them to strengthen their bond with customers. Creating your own print magazine or catalog can definitely help your online store to get loyal, repeat clients. 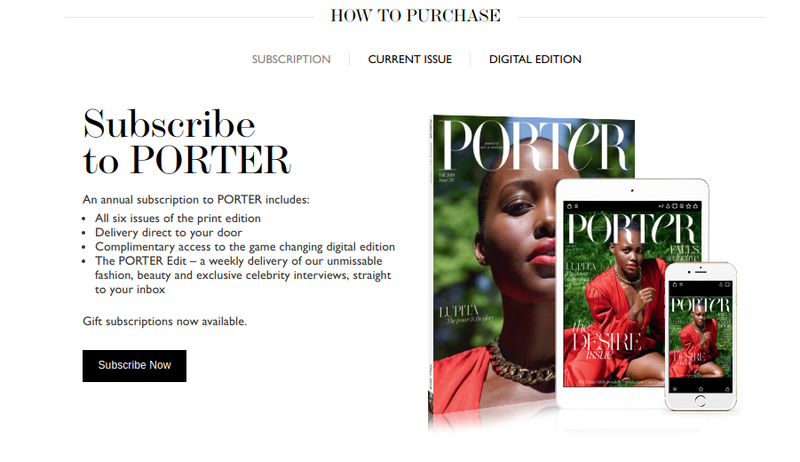 Net-a-porter, an eCommerce fashion brand, merges physical experience with the digital world through its PORTER magazine. Through the publication, readers can scan the product images into Net-a-porter's mobile app in order to make an immediate purchase. The brand also has a weekly online magazine known as PORTEREdit which includes brand advertising to drive sales. With so many buyers shopping online, product guides can be an amazing tool for content marketing. By teaching your readers how to use your products, you can indirectly guide them to purchase from you - you can create how-to-guides with visuals which include all the steps for using your products. You should provide in-depth details in your guides, which are able to answer all of the questions your readers may have. By providing detailed guides, you can better position yourself as an expert in your field. 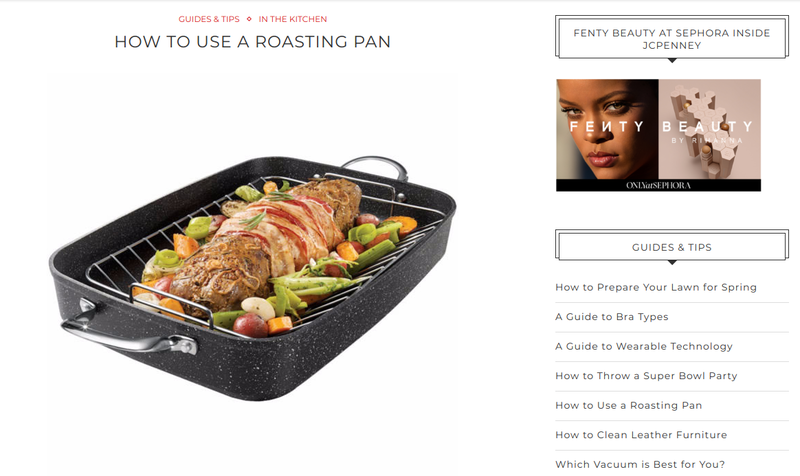 JCPenney, for example, provides an online guide for using a roasting pan. The guide can be useful to people who are new to using the roasting pan and need some basic help. Another, increasingly popular option is to create video tutorials to engage your target audience and attract more traffic. As an eCommerce business, you might face difficulties in getting inbound links, as other site owners are often reluctant to link to product pages. A great way to get around this is to create engaging, effective content, and submit it to guest blogging platforms within your sector. If your article gets accepted, you'll be able to promote your brand, increase traffic on your website, boost your website SEO, and enhance sales. The key to effective guest blogging is ensuring that you are always writing for the site's audience, as opposed to being overly promotional. Longer posts generally see more success in this regard, as they contain more detail, and are thus, more informative for readers. Provide examples in your content, which your audience can then connect to and take inspiration from. Give your readers actionable information, and use visual elements like images, videos, graphs, etc. to maximize engagement and interest. User-generated content (UGC) is another an important part of the content strategy puzzle for eCommerce businesses. UGC is content created by your customers, specifically for your brand or products. UGC can include video clips, images, testimonials, reviews, etc. If consumers post content on an eCommerce website, it looks authentic and convincing, providing benefit for potential buyers. 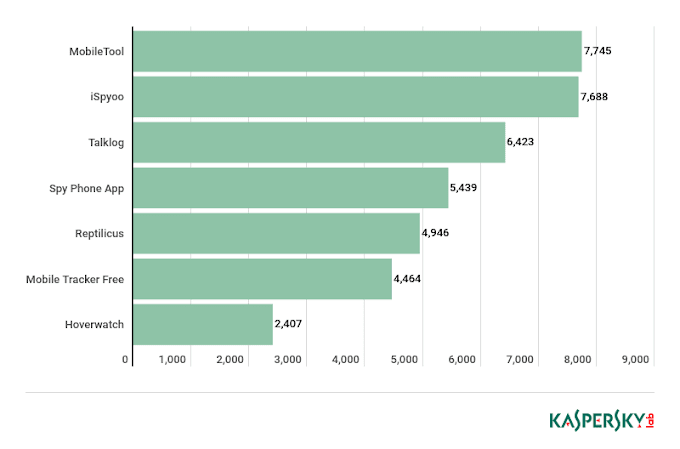 According to research, 85% of consumers find UGC more influential than brand-created content. For UGC, you can encourage your customers to share their feedback and experiences on social media platforms. You can ask them to use a particular hashtag and mention your brand name to increase awareness. Also, by providing some kind of recognition or incentive for your customers, you can motivate them to create content for your eCommerce business. 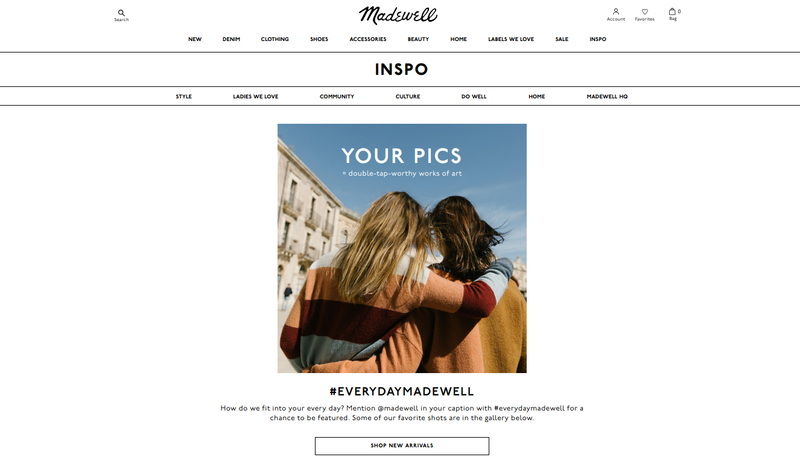 Madewell’s #everydaymadewell is a great example of user-generated content. The brand encourages buyers to share their images with #everydaymadewell hashtag and gives them a chance to get featured in its online gallery. Storytelling is one of the best, most effective ways in which eCommerce businesses can connect with prospective buyers, and also generate traffic and social shares. Add an emotional element to your stories, and encourage your satisfied customers to share their real-life experiences. You can also provide insights into the origins and mission of your business, or even join a cause you believe in through storytelling. YETI, for example, is known for creating captivating stories about family, adventure, and survival, using documentary-like videos that boost interest within its target market. The brand is adept at visual storytelling, and has garnered thousands of views on YouTube. Instead of directly selling its coolers, it created ‘YETI presents’ short films to bring people into the YETI community. Influencers are those people who generally have a sizeable following online. They can either be bloggers, celebrities, journalists, industry influencers or others who are admired by people. You should direct your content marketing efforts towards seeking these individuals in your industry in order to promote your eCommerce business. 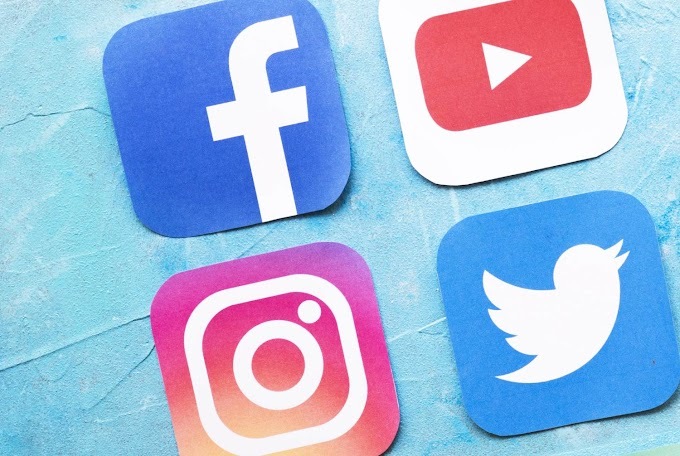 If they mention your brand, or share your content, you'll be able to elevate your brand awareness, humanize your brand, and win the trust of buyers - because consumers believe in influencers’ opinions. 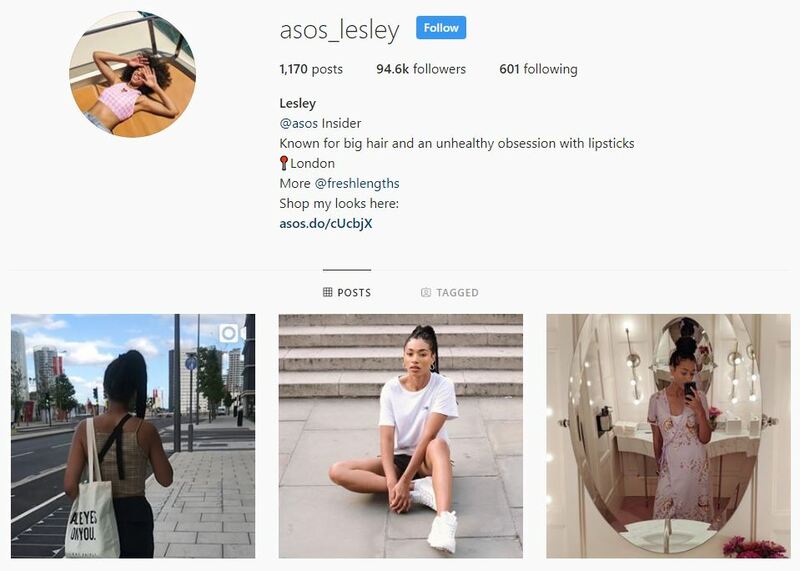 ASOS, an online fashion retailer, launched an influencer marketing campaign in which its influencers are called ‘ASOS Insiders.’ The Insiders provide fashion tips and style advice, in relation to ASOS products. eCommerce businesses need to go the extra mile to ensure their content is engaging and interactive, enabling them to establish their authority, increase their conversion rates and drive traffic on an ongoing basis. But there isn’t a one-size-fits-all eCommerce content marketing strategy - you need to understand your target audience and develop a content plan based on that knowledge. The above tips can, however, help you in improving your content strategy and building trust with your audience.